While most people still associate a holiday in Sicily with a beach break, going rural in Sicily is one of the best ways we know to get away from it all. Tuck yourself away amidst a landscape of olive groves or vineyards, on the slopes of a volcano or nestled amongst one of the island’s mountain ranges and you’ll discover an inner calm that you never knew existed! Need more inspiration? These are some of our suggestions for the best rural retreats in Sicily. Sleepy medieval villages and flower-carpeted mountain slopes characterise Sicily’s Madonie mountains. Villages such as Isnello, Gangi and Petralia Soprana are a far cry from the hustle and bustle of Palermo and yet the seaside resort of Cefalù is relatively close. Expect fabulous locally-grown produce, with a strong emphasis on meat, cheese and olives, both here and in the neighbouring Nebrodi mountains. 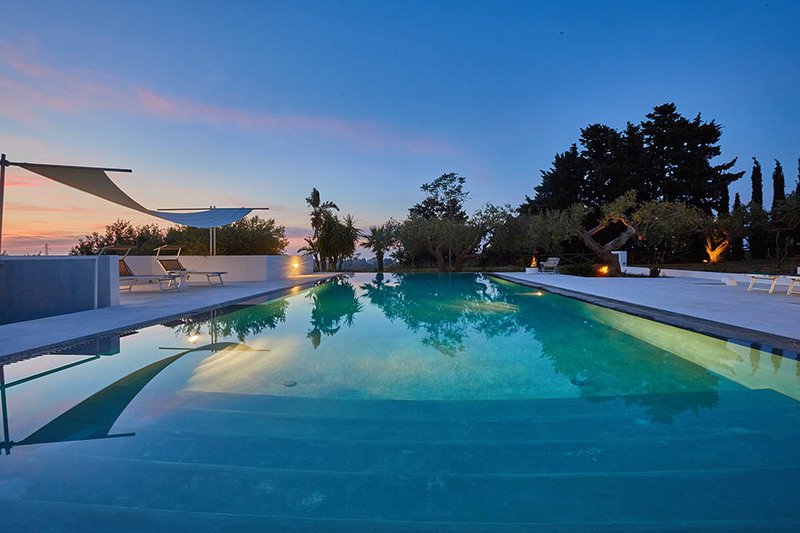 Brand new for 2019, Villa Olmo is excellently located, equidistant to both mountain ranges and only 20 minutes from the picturesque beach at Castel di Tusa. For the ultimate in bucolic bliss, head for the rural hinterland and olive groves of northern Sicily. 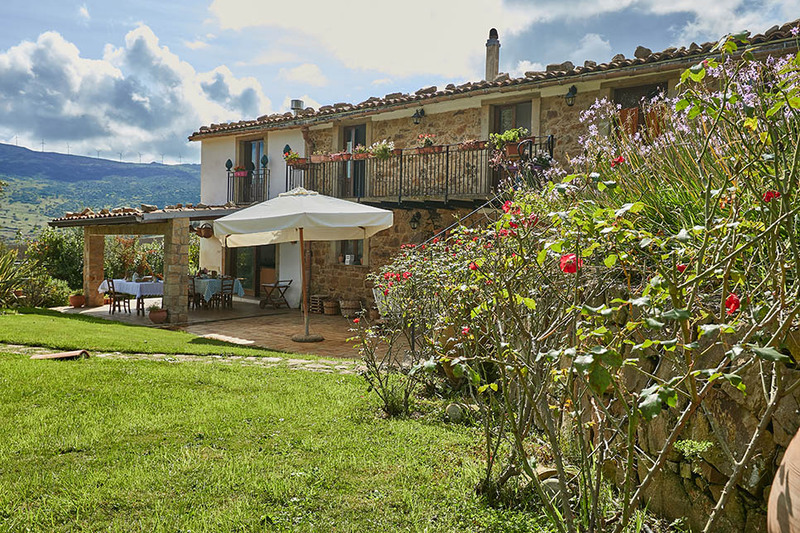 Although the beaches are just a hop away, traditional country houses such as Casa Turi are immersed in spectacular scenery and set amongst masses of outdoor space. 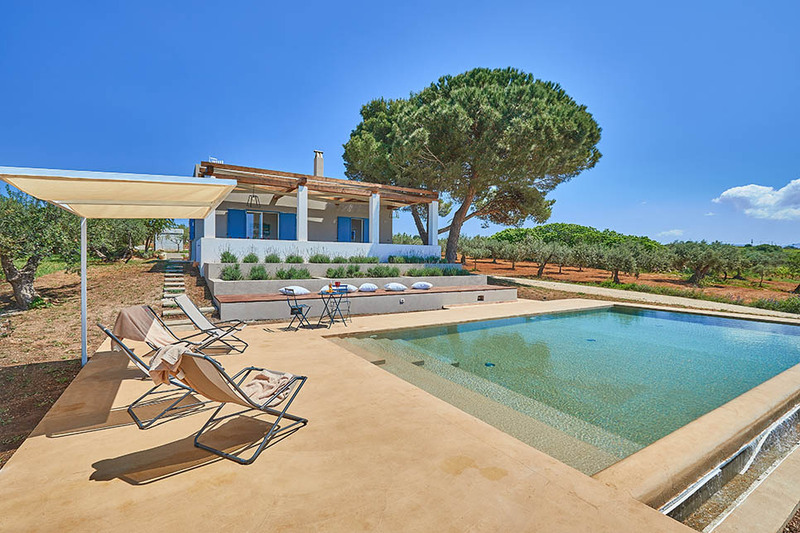 A holiday here is all about outdoors cooking, al fresco meals and gazing up at the mountains from the cool of the pool. There are few natural landscapes more dramatic than the slopes of Mount Etna. The lower slopes of Sicily’s magnificent volcano are awash with vineyards and citrus groves and dotted with hillside towns with black lava stone buildings. 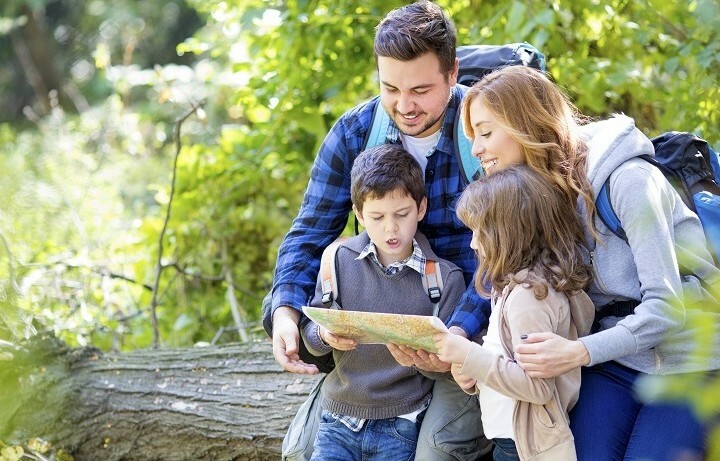 Take a hike in the huge national park, past burned trees and amongst lower lava flows, or across the lunar landscape to the volcano’s summit. 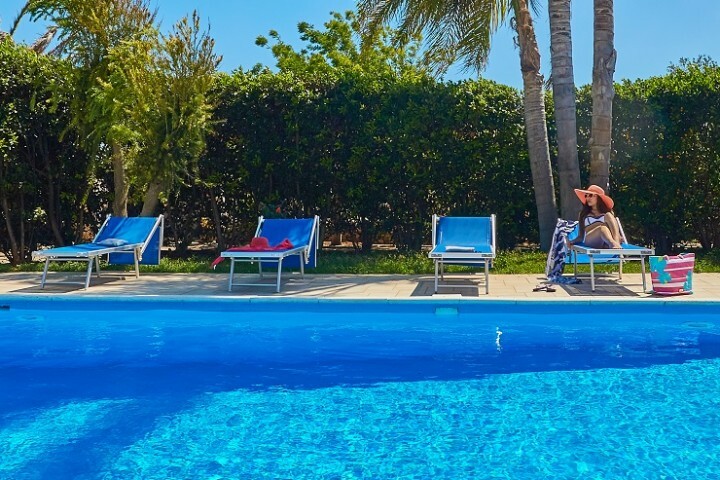 Stay at Le Case dell’Etna, a collection of three family-friendly villas and pools close to the village of Sant’Alfio. The village is best known for its Castagno dei Cento Cavalli, said to be the oldest tree in Sicily! While the countryside around Milazzo and Messina on Sicily’s north east tip is certainly eye-catching, it’s the dramatic views across the Aeolian Islands that really dazzle. Situated just an hour-long ferry ride from Sicily, the volcanic archipelago hovers in sight from the Sicilian mainland. 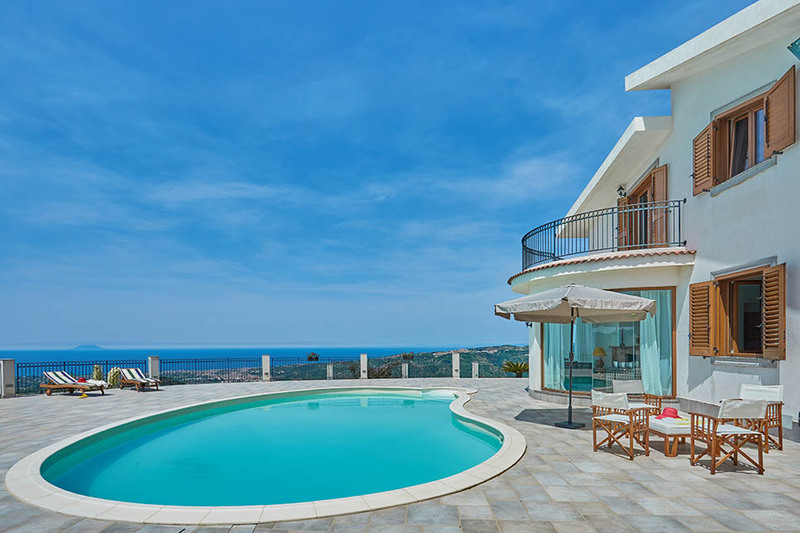 Choose from a selection of luxury villas in and around Milazzo including 4-bedroom Villa Alma where the pool and pergola-shaded outdoor dining terrace are perfectly placed for the most memorable views. Other local nature spots include the crystal-clear water at the Laghetti di Marinello and the lava-stone walled Alcantara Gorge. Rural vistas are also part of the appeal of south west Sicily where the vineyards around Menfi are one of the star attractions. 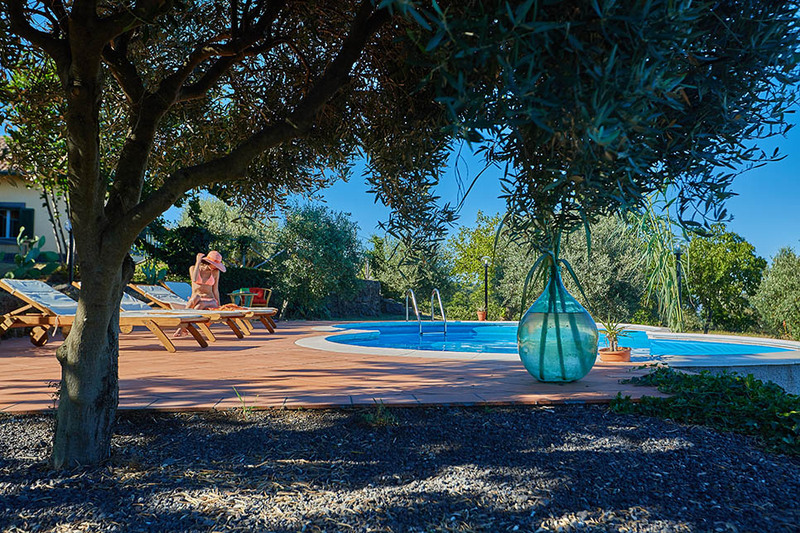 Casa Maoma is set in the heart of the countryside, with views from the magnificent terrace and pool over a spectacular landscape of vineyards and olive groves. Indulge in a spot of local wine-tasting or pop down to the unspoilt two-mile stretch of sand that fringes the Foce del Belice nature reserve.